Well we made it through the January sport show season, and it was great seeing you at all the shows and I hope you continue listening to Chauncey’s Great Outdoors on ESPN AM 1000 on Saturday morning from 6 to 7 a.m. or listen to the podcast on espnchicago.com or subscribe for free on iTunes. 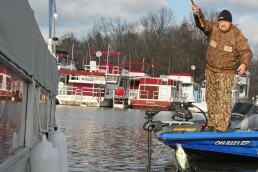 In December, we had open water on many lakes and in January “Mr. Freeze” went and helped out in Wisconsin, but not as much in Illinois. Some of the sport shows are over, but we have a few left to go. 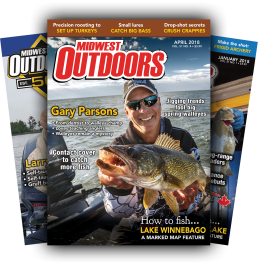 The real smart anglers already renewed their subscriptions to MidWest Outdoors at the shows and got a free gift in doing so. So, if you haven’t yet, you should, so do it at the upcoming Tinley Park Show February 13-14. But what we really need to talk about is how and where are we going to find fish this month. Remember, a fish’s metabolism has really slowed down, and it will still eat, but you just have to be in the right place at the right time and plan it that way. 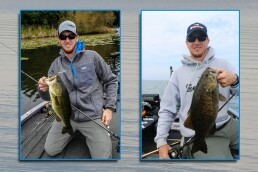 That open-water, cold-weather fishing can be great. 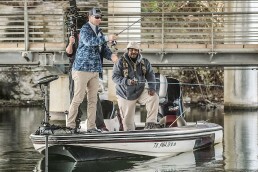 Many anglers just don’t come out of hiding until the weather warms up, but I know many other anglers who catch some high-quality fish this time of year in the open cold water. They will also find a few crappies very late in the afternoon at Winthrop Harbor, but the park closes at dusk, so anglers must leave just when the fish start to hit. I have also taken a brook trout and pike when the park officer is telling me it’s time to leave. We have had verified reports of good-sized northern pike coming from the harbor. Remember, live bait works better. Light fishing pressure is normally found in February along most of the Lakefront, but the new perch spot all winter was the slip at 87th Street, and at times it is a real hot spot. This is an old shipping cut that has been unfished for years, except for boat anglers in the summer; most of the slip is on private property. I have also taken perch in Belmont, Burnham and Montrose harbors along with a few die-hard anglers. In most areas, perch and a few brown trout will hit on minnows worked within a foot of the bottom. The best action seems to be late in the afternoon to dusk. 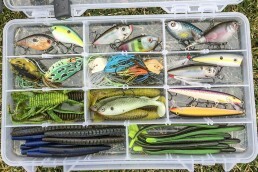 If the water is open at Navy Pier, a minnow or a small piece of squid can take a lot of perch, but throw all the real small ones back—you will catch larger ones if you keep trying. That squid trick really does work and you’ll be surprise how long they last on your hook. But remember to always check the ice for thickness in the harbors and don’t ever just walk out even if there are others on the ice before you. They might not have checked and then both of you are now in the water together. Pier Passes for anglers fishing in the Chicago harbors can be obtained from Henry’s Bait on 31st and Canal in Chicago at 3130 South Canal street. If we did not lose the ice already in February, we could lose it fast. If we get a late cold snap to make some “safe” ice it could be good, but if the water is open, then what are you waiting for, a personal invite? Go fish! If we do get some late ice, fishing is permitted on designated district lakes on a “Fish At Your Own Risk” basis. Ice conditions are not monitored by the district. 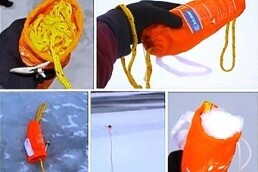 Ice fishermen should check ice thickness before going out on any frozen body of water. A minimum of at least 4 inches of solid ice over the entire lake is recommended before individuals attempt ice fishing. 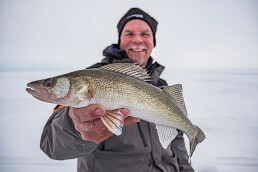 Ice fishing hours are 8 a.m. to sunset on the following lakes: Arrowhead, Axehead, Beck, Belleau, Big Bend, Bode Lake South, Busse-Main, Busse-South, Maple, Powderhorn, Saganashkee Slough, Sag Quarry East, Sag Quarry West, Tampier and Turtle Head lakes. Again, remember to check the ice for safe thickness. 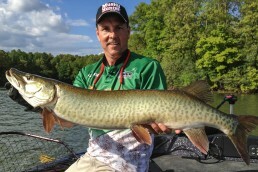 Powderhorn: Those northern pike and bass will look at a large golden roaches. Bluegills are slow, but if you find green weeds you could find a few bull bluegills. Busse: When the temperature drops more people come out and find small crappies and bluegills near weeds in 5 to 6 feet of water. If we have February ice, it is generally fair to good on most lakes, but again, always check it. 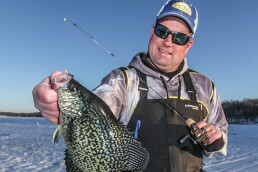 Deep Quarry: Some crappies are taken, but always be prepared for a surprise fish. Worms and minnows are the best baits on Mallard for crappies and bass. 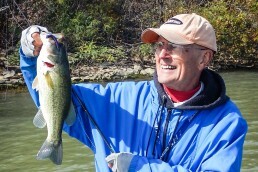 Blackwell has light fishing pressure until 2 p.m.; more anglers come out until dusk after work. Ice conditions on the Chain are normally better if we have ice for a widespread area. On Channel Lake, anglers may be drilling holes and fishing the open areas in the weed beds for good-sized bluegills. 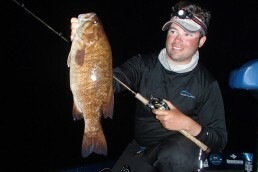 Better action is in the afternoon into the evening with minnows, waxworms and bright-colored ice jigs. 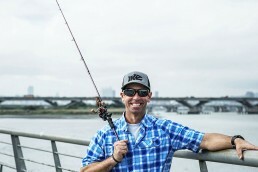 Stripers on Mineola can be active on small baits in the afternoon. Walleyes and bluegills like the south end of Pistakee Bay and Marie. 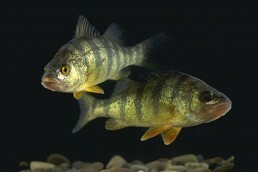 Long Lake: Bluegills are most active on minnows and waxworms. Loon Lake: Northern pike are always chasing bluegills in the greenest weeds and hitting a golden roach on a tip-up if we have ice or a bobber in open water. If the area ice is gone, it will be hard to even walk through the mud to get close to the river. Remember, fish are very spooky in shallow water like this. The Fox is at a winter level now and the secret in fishing this river now is to go to the warm-water outflows from pipes that are dumping water from storm drains or water treatment plants. 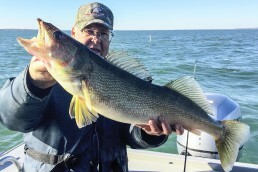 Small walleyes may hit minnows on a single hook with a split shot fished just outside of the current—let the bait sit. The fish cribs along the shoreline should be the locations that bluegills and crappies will be holding on, in open water or through the ice. Crappies like holding close to the bottom. Fish are taken in 12 to 15 feet of water, all on live bait. If you don’t know if you had a bite, set the hook. The fish have a very delicate bite this time of year. 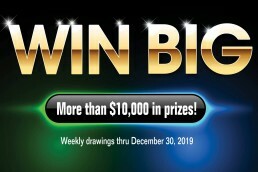 I would look at one of those very sensitive fishing rods. At Independence Grove, ice fishing is permitted if we have ice in the south bay. At Lakewood Forest Preserve, ice fishing is permitted on Banana Lake only. At Van Patten Woods, ice fishing is available on any part of Sterling Lake when conditions allow. 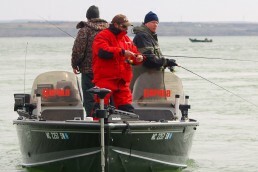 If there is no ice, open-water fishing with small minnows could be great. 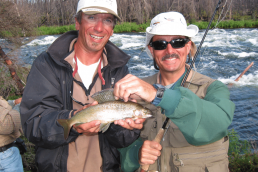 Always fish with a friend for fun and safety, and as you know, I am a 12-month outdoorsman and you should be too. 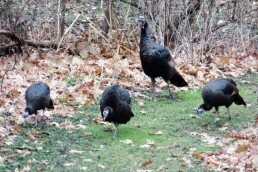 Take your friends and family out and maybe I will see you in the great outdoors of Illinois. 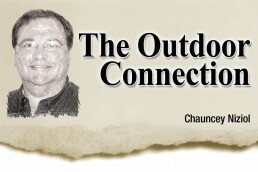 Remember to catch “Chauncey’s Great Outdoors” radio program, the Midwest’s number one most listened to outdoor radio show heard every Saturday Morning from 6-7 a.m. on ESPN AM 1000, and on iTunes as a Podcast and on Facebook/Chaunceys Great Outdoors. Ask questions from your heart and you will be answered from your heart. 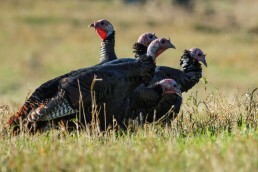 Remember we don’t own the birds, the rain, and the fish we catch or the deer we harvest. We are borrowing them from our children’s, children’s, children. 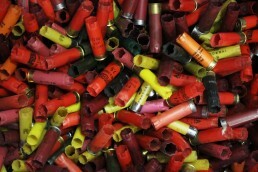 Protect and leave some of these things for the future and all our future generations.